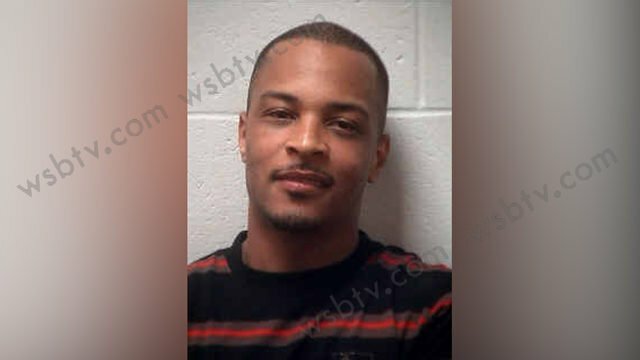 Channel 2 Action News reports that T.I. was arrested around 4am this morning and charged with disorderly conduct and public drunkenness in Henry County. Apparently, he was coming home from a night out and was trying to get into his gated community after forgetting his key. A security guard would not let him in, even after TIP questioned him about who he was. T.I. later called a friend and the two argued with the guard, who called police to the scene and the two were later arrested. TIP’s friend had a warrant out for his arrest and both were taken to jail. According to his attorney, T.I. woke up the security guard, who refused him entry to his residence, even after he was on the phone with Tiny, inside the premises. When the police came, they did not bother to listen to T.I.’s side of the story and arrested him wrongfully. UPDATE: According to a police report acquired by TMZ, T.I. tried to start a fight with the security guard after he did not recognize who he was. The guard finally opened the gate for the rapper but not before profanities were shouted in his direction and he got threats for physical confrontation. The guard told police he feared for his life and that’s why Atlanta PD was called out to the residence. When APD arrived, they smelled alcohol in his breath, which is why he was arrested for disorderly conduct and public drunkenness. UPDATE: TMZ has released a video of T.I. arguing with a police officer inside jail, asking him why what he did constituted in his arrest. They also released a description of what happened, according to T.I. He also mentioned that the security guard left out the face he fell asleep, and when the police came, they did not even ask him the side of the story. They just talked to the guard and his supervisor behind closed doors and arrested him shortly after.